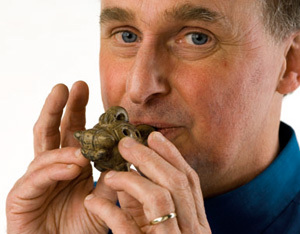 Ocarina Workshop CPD / Teacher Training is for any teacher who wishes to deliver Instrumental Music, keeping music-making active and hands-on. David and Christa Liggins, Directors of Ocarina Workshop, offer Keynote Presentations, Teacher Trainings and Ocarina Workshops that are practical, relaxed, entertaining and informative. Participants learn how to play the Ocarina for themselves and are then trained in Whole-class Ocarina teaching, from beginners’ lessons to advanced performance. Class teachers gain the confidence and skill to teach Instrumental Music to their own classes, as well as lots of ideas for effective delivery of the Music Curriculum. Ocarina-teaching resources can do all the ‘musical bits’ for you, allowing your latent musicianship to develop alongside that of your children. Music practitioners receive training in teaching an instrument that is ready-to-play, ready-strung, 100% tuned and well-resourced, thus allowing maximum time for whole-class music-making. A set of 36 Ocarinas and books is much more compact than any other set of musical instruments, so the Ocarina is ideal for itinerant teachers too. Ocarina Workshop partners with Music Education Hubs in England, to widen opportunities for all their children to play musical instruments, year 1 to year 8 and deliver the National Plan for Music Education core roles. First access and wider opportunities projects can be delivered to many more children using Ocarinas and at a fraction of the cost. We have also trained teachers in Wales, Scotland, Ireland, The Netherlands, Germany and Switzerland. 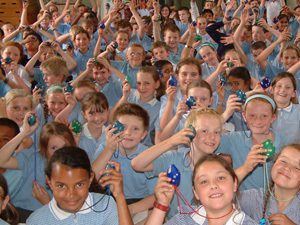 Ocarina Festivals give large groups of children the chance to learn to play ocarinas together from scratch and/or celebrate the ocarina-playing skills already learned in the classroom. Hundreds of first-time or experienced ocarina players can learn, play and perform together – and yes, they will play proper recognisable tunes. This is an ideal way to mobilise beginner musicians, to open a regional ocarina-playing project or to bring such a project to completion through a combined, celebratory large group performance event. If you would like to plan an Ocarina Teacher CPD Training or Festival, in your School, cluster of Schools or Music Hub, please contact David or Christa on 01536 485963, email christa@ocarina.co.uk or complete our online form.